ILS offers a choice of crucibles, in either single or multi-use varieties, to suit your assay requirements. 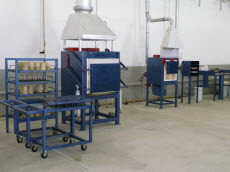 All of our crucibles can be used with a multi-pour system. Sizes available include 30, 40, 50, 55 and 65g. 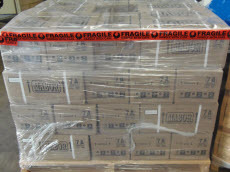 All of our crucibles can be supplied either crated or boxed. ILS can supply cupellation furnaces manufactured by the world leaders in furnace technology. Configurations of 50 place and 100 place furnaces can be supplied and configured for LPG, natural gas, diesel or electric fuel sources. Magnesite cupels that can be supplied packaged for use with either 25 plc or 50 plc cupel forks. Standard cupel sizes of 6A, 7A, 7AS, 8A, 8S are available to handle lead buttons from less than 30g up to 75g. ILS offers two standard types of flux - 104 for oxide and 109 for refractory ores. Both are pre-mixed with silver nitrate and will produce consistent prill sizes. We also provide custom fluxes to your specifications, with or without silver nitrate. ILS supplies both standard and custom made furnace hoods for fusion and cupellation furnaces and cupel cooling racks to suit your existing or new fume extraction system. 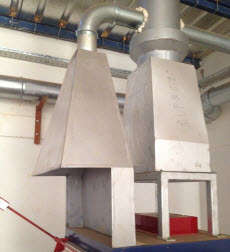 We also offer a full engineering service for fire assay extraction and ducting requirements. Used on the floors of fusion and cupellation furnaces, our furnace tiles are available in five popular sizes and in three thicknesses. ILS can supply fire assay fusion furnaces manufactured by the world leaders in fusion furnace technology. Configurations of 25 pot and 50 pot furnaces can be supplied and configured for LPG, natural gas, diesel or electric fuel sources. ILS offers gold and silver wire that is a minimum 99.9% proof suitable for use in bullion assays and fire assay additions. 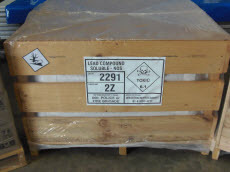 ILS also offers a high-grade mabor used for cleaning furnace spillages. Standard configurations are for 25 place or 50 place systems. We can also customise each system to suit your furnace capacity. ILS carries a range of electric furnaces with varying internal chamber dimensions ranging from 165W x 245L x 90H to 350W x 400L x 450H. Applications for these furnaces are varied and are commonly used for cupel pre-heat, ashing, bullion muffle and concentrate drying/oxidation. Our most common product is a furnace with internal chamber dimensions of 350W x 400L x 450H that comes equipped with a three tier rack and stainless steel trays. We offer a variety of scoops for handling fluxes and reagents, available in both plastic and metal.